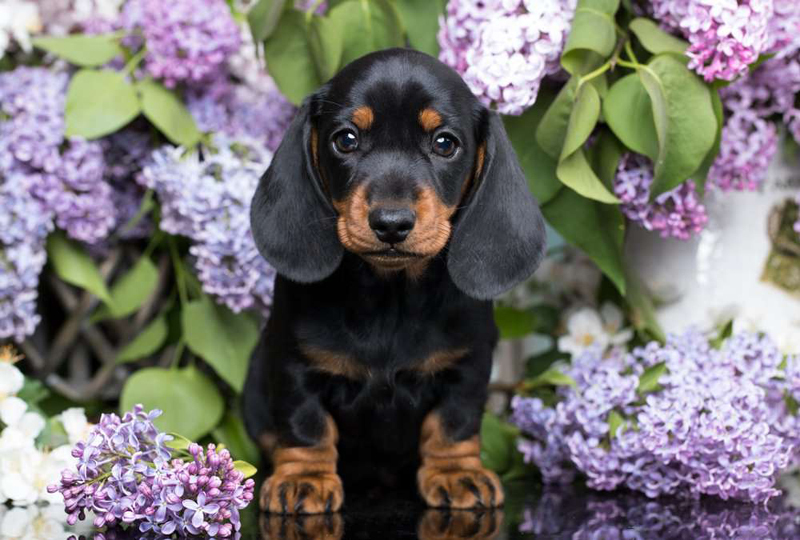 What do the American Kennel Club's 50 most popular dog breeds look like as puppies? 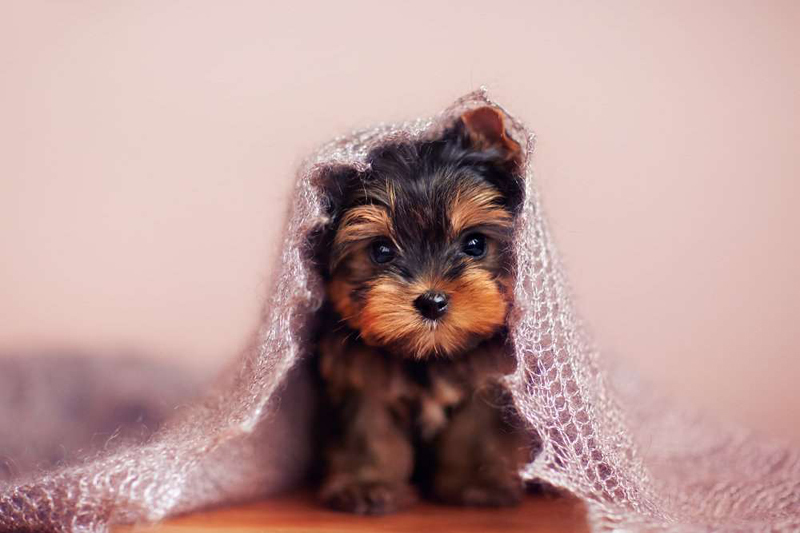 Prepare for cuteness overload and read on. 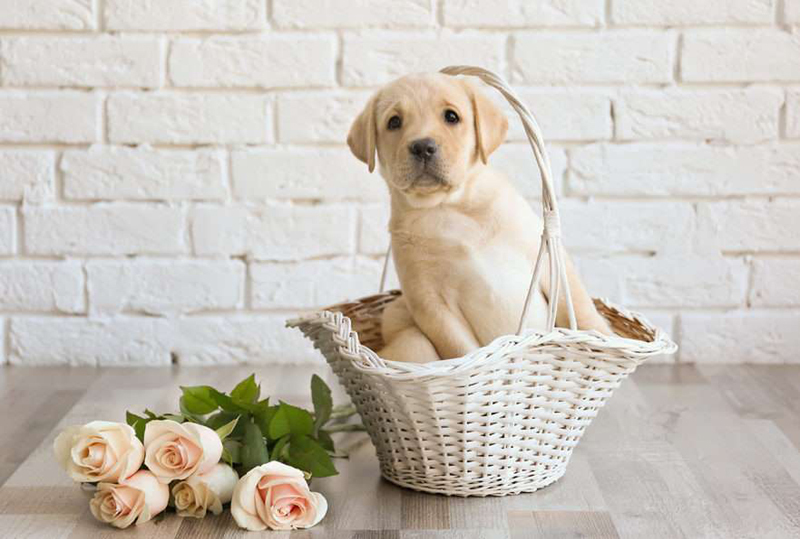 The Labrador retriever is a super friendly and easy-going breed and an ideal family dog, which is probably why it topped the American Kennel Club's list of (AKC) most popular dog breeds for the last five years. 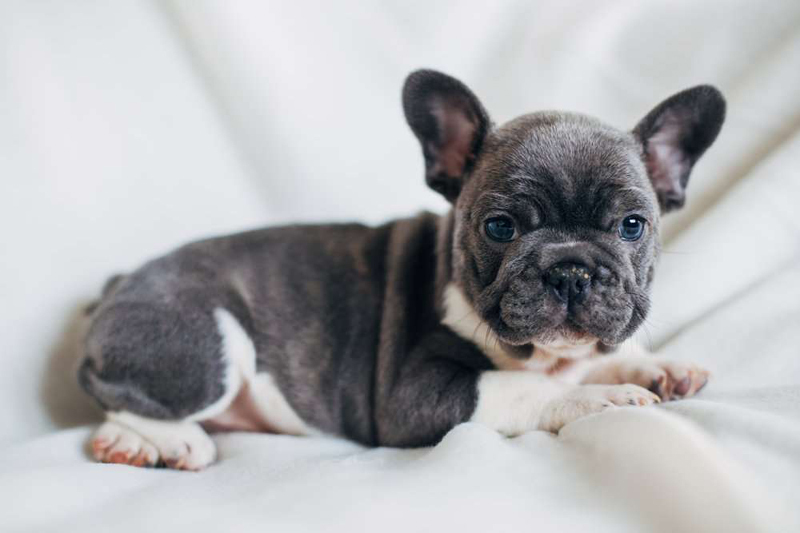 These puppies, undeniably one of the cutest dog breeds, grow fast and reach adulthood by about six months and crave an active lifestyle to be happy and healthy. The only dilemma is which lab puppy is the cutest—black, yellow, or chocolate? 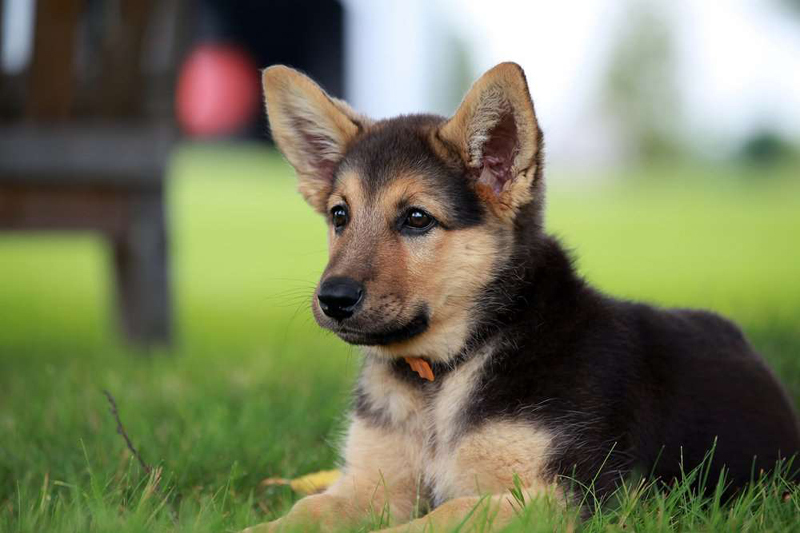 Known for their keen intelligence, high energy, and loyalty, the German Shepherd is one of the most popular breeds of dog in the world. Despite their fearsome reputation, most owners find they are loyal, docile, obedient, and a loving family pet. It is because of their intelligence that German Shepherds are trained for military service, search and rescue, and police dogs. After World War I, returning soldiers spoke so highly of this breed that their popularity exploded in the United States. 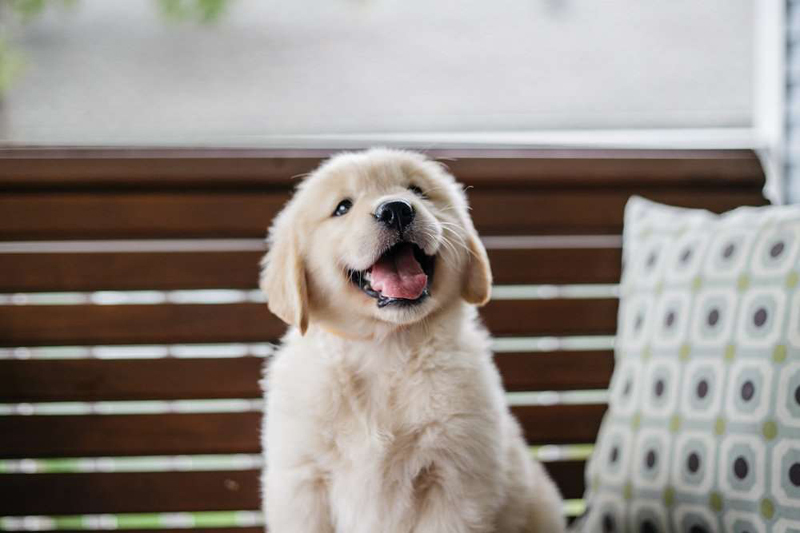 If you relish the puppy stage and never want it to end, the golden retriever is one of the cutest dog breeds—and slowest breeds to mature when it comes to silly playfulness traits. 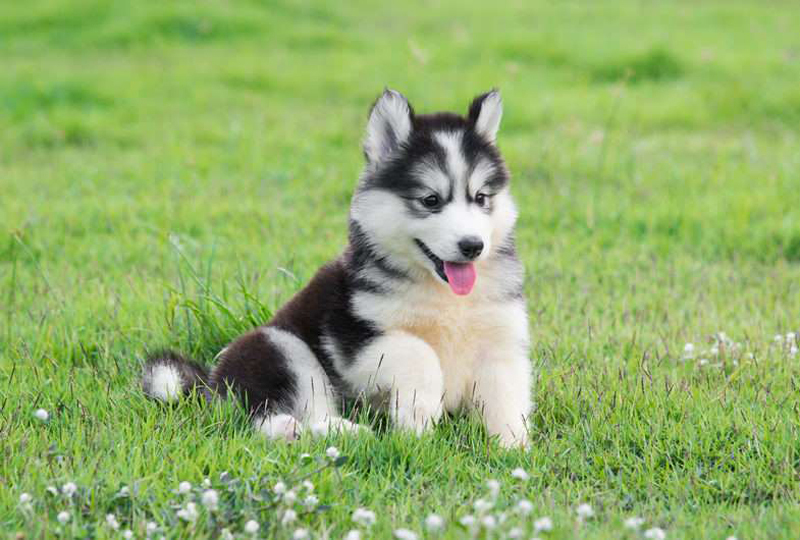 It loves being social and becoming a real member of the family, so it will be much happier with you and not alone in the yard for hours on end. 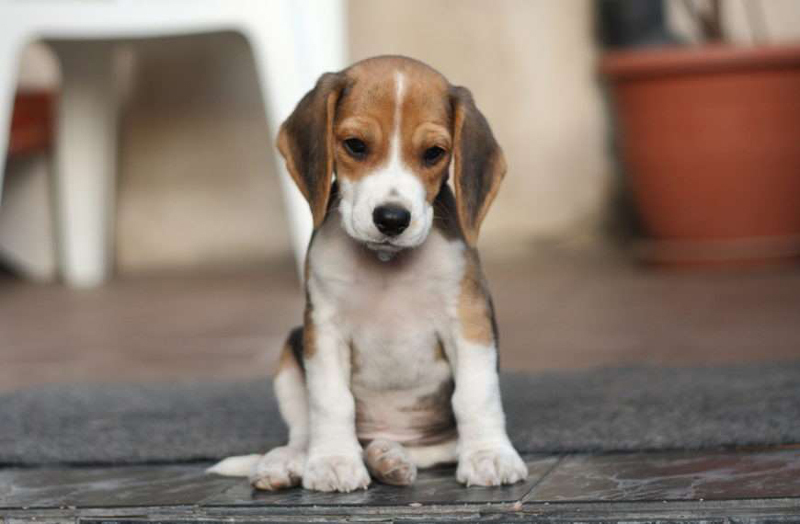 It's probably one of the cutest dog breeds because the beagle keeps its adorable puppy face for most of its life—until those gray hairs eventually creep in around its face. 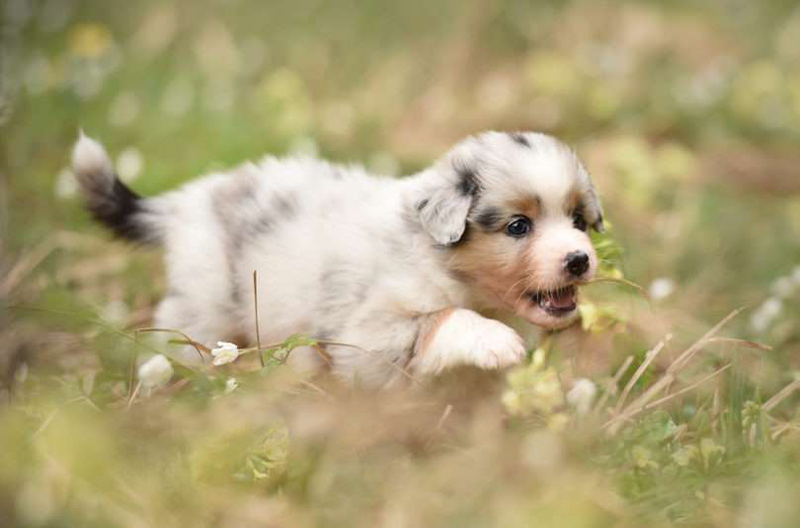 These pups are motivated by scent and an ever-present curiosity that is driven by their keen sense of smell and the desire to chase down any scent that intrigues them. Roaming and exploring are genetic so they feel their best with a family that loves an active lifestyle outdoors. The fluffy and 'foo-foo' appearance of poodles hardly conjures up what poodles were originally bred to do—retreive prey from the water but all that fur (which is actually hair) protects joints from the cold water. Their hair doesn't shed too much or produce too much dander so they're often great companions for allergy sufferers who want a snuggler, which suits the poodle just fine because they assume they are a member of your family and prefer quality time with you. Oh my goodness... the chunky cuteness of a 'Rottie' puppy face is undeniable. 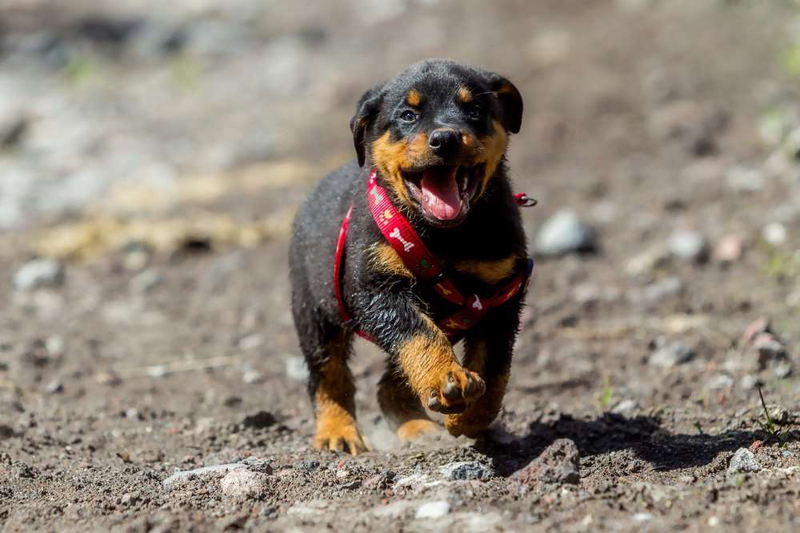 Rottie puppies are a solid block of burning love. Their stocky and muscular body tips the scales from 95 to 135 pounds, males on the heavier end. Male Rottweilers are calm and always on duty, watching for threats to their home and human family but females are a little more chill and more affectionate. They require firm and consistent training from the start so if you don't have time to devote to this, the Rottie isn't the dog for you. Spunky and sassy these cute little divas are viewed as the pampered breed, but it's origin began far away from the penthouse set. Back in 19th century England, they were bred to chase rats. (They are a terrier after all, and all terriers were bred to chase and kill something.) You probably won't find them chasing rats anymore, but they do love to play and give and receive attention and quite happy to sit pretty as a lapdog. 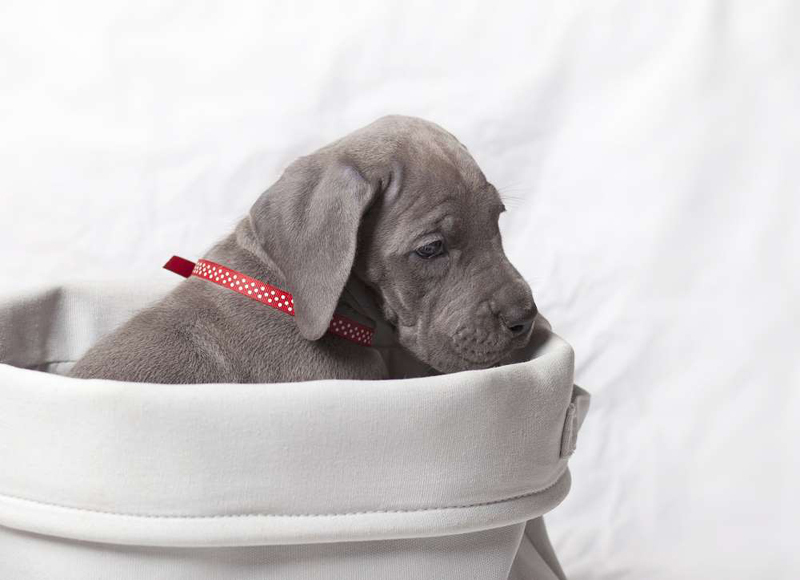 Mastiffs tend to be 'gassy' dogs, which bothers some people. They also snore, drool, and slobber—big time! It goes without saying, this is not a breed for people who need a tidy household. On the plus side, Mastiffs are gentle, intelligent, and eager to please and want to form strong bonds with their family members. This pup needs to be close to family and should not be an outdoor-only dog. Isolation or long periods of separation can cause anxiety or destructive behaviors. Their hunting heritage means they love tracking down furred or feathered prey, and you'll know when they spot something like a rabbit because they use their bodies and tail to point and lift one foot off the ground to signal they have something in their sight. Even puppies who have never hunted are known to do this. 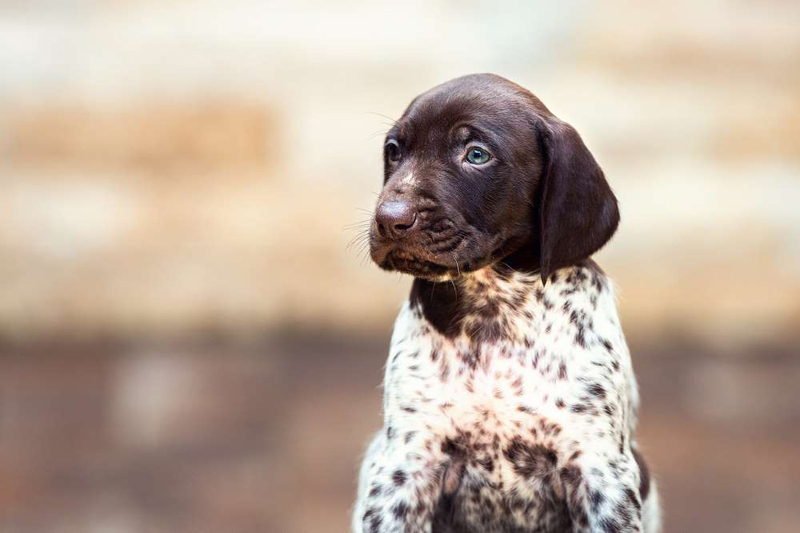 But if hunting isn't your bag be prepared to make this pup your new running or hiking partner because the high-energy GSP won't be satisfied with brief walks. When they're pups, boxers are all about sowing their wild oats. 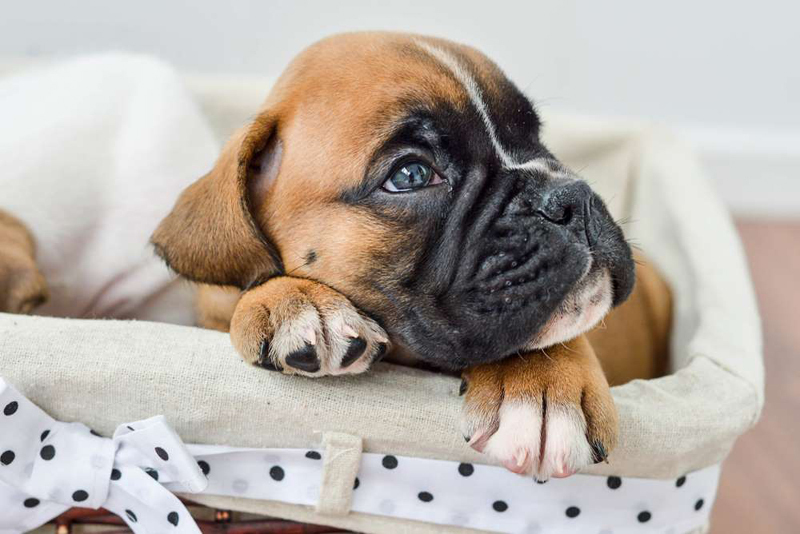 If you can get past the rambunctious and mischievous puppy stage (that lasts around three years), the boxer will transform from the cutest dog breed into a beautifully graceful and robust dog that's dignified, calm, and courageous. Maybe that's why they were used in Germany for police training years ago. You don't need a Nest cam on your door if you have a Dachshund living in your home. This breed is hyper-aware of any human or animal that moves outside your door (and down the street) and will bark non-stop to let you know, but don't worry, they don't typically do more than bark at an intruder. They love indoor games of fetch, but they still need the mental stimulation of the scents and sounds outdoors. It's a breed of contradictions: Take its size for example. The Great Dane is intimidating for sure (one of the tallest breeds at about 30 inches), but there is nothing scary about this gentle giant—except maybe it's weight when it wants to sit on your lap. Despite its size, the Great Dane thinks it's a lap dog and will nonchalantly plop down on you like you were its human pet bed. It has a deep bark, but doesn't bark much and is a great apartment dog because it's low-energy and has a super friendly demeanor. 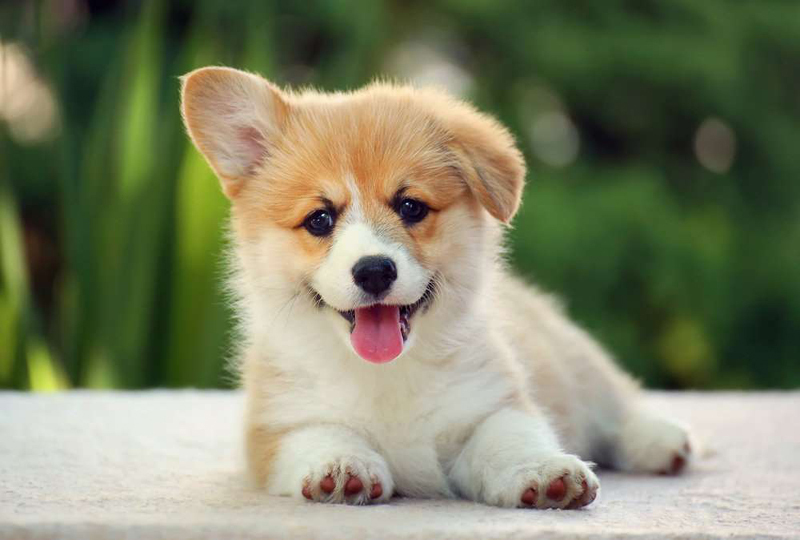 You may be familiar with two types of Corgi's—the Pembroke Welsh and the Cardigan. The Pembroke is a much newer breed and has a bobbed tail. It's also the breed Queen Elizabeth II choose to be her furry companions until just recently when her beloved Willow died. The Pembroke is intelligent, happy, and loving but also has a streak of independence and stubbornness. You may experience two entirely different scenarios if you're walking a Doberman puppy versus an adult Doberman. The typical smiles and oohs and ahs associated with a puppy often disappears when your Dobie becomes an adult. 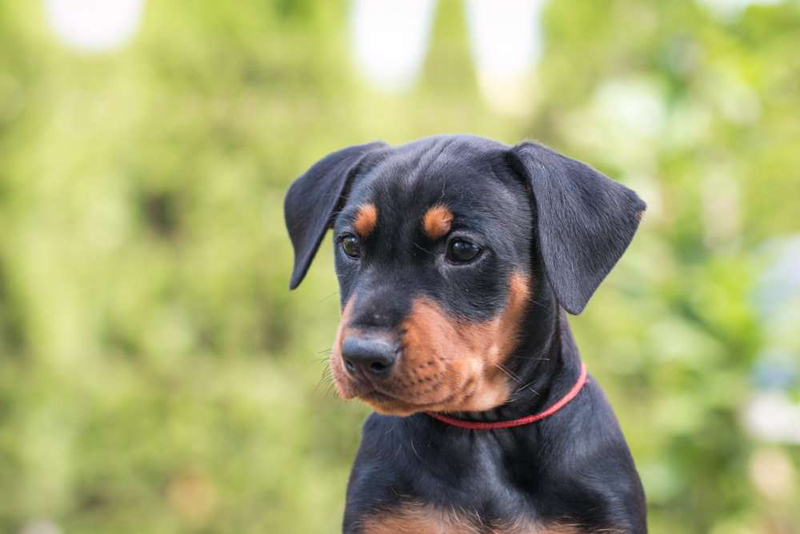 Like Rotties, they boast an intimidating presence, but that's because they are in guard mode, protecting their family or home. They also possess a very loving and sensitive side and require socialization at a young age to foster those qualities. With its piercing blue eyes and unique markings, this Aussie is as highly recognizable breed but it's descended from Europe, not Down Under. 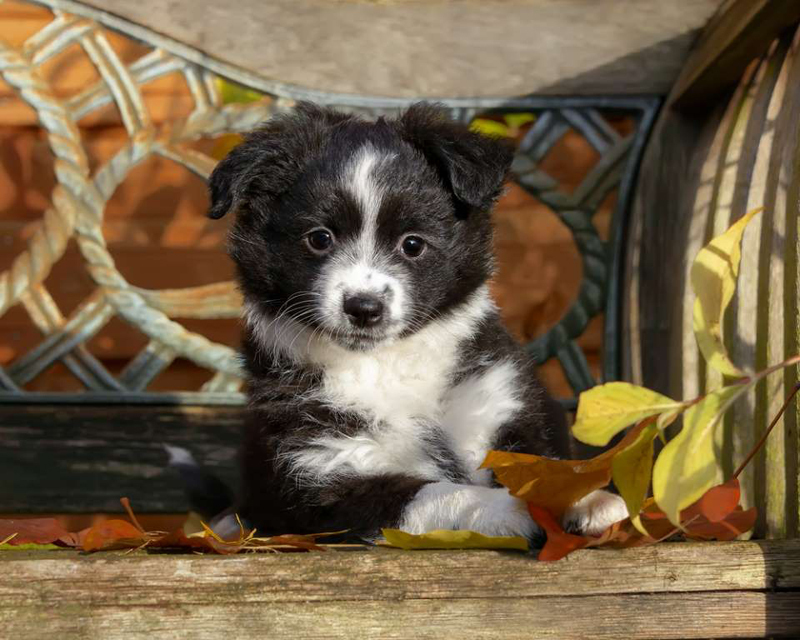 The mixup came from California ranchers who thought they were called Australian shepherds because they were associated with Basque shepherds that came from Australia to the United States in the 1800s. 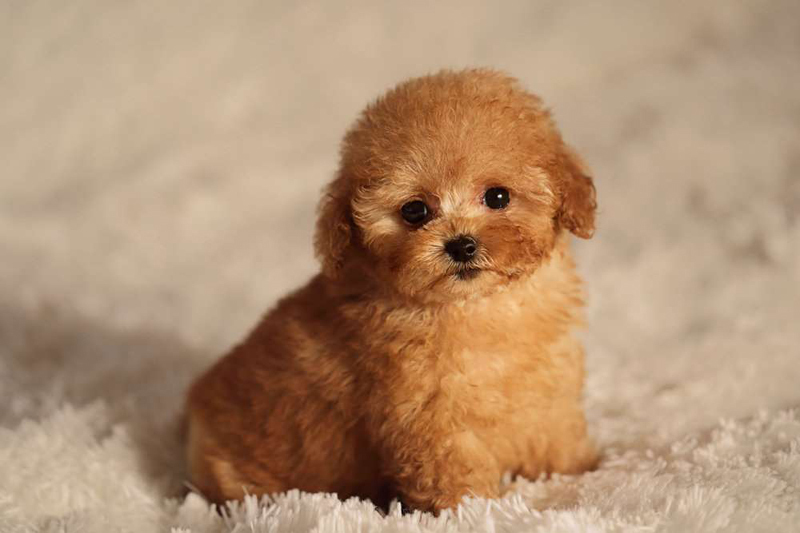 What you really need to know is that this dog, one of the cutest dog breeds, doesn't get by on its looks alone. It's driven by a need to herd and its essential for an Aussie to be mentally and physically stimulated—think obstacle courses. 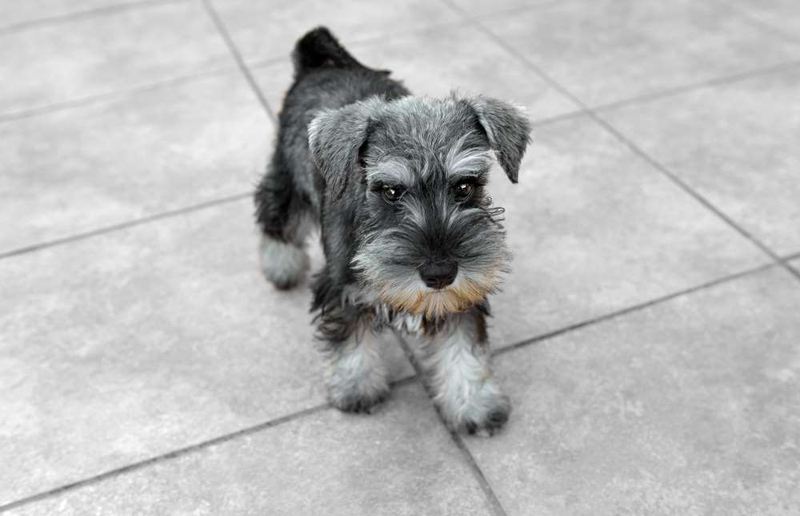 There's no denying the Schnauzer trademark features—whether its a 20-pound miniature or the giant version at 85 pounds. The arched eyebrows, whiskers, and beard sometimes give off an aloof and pretentious vibe. Since they were bred to chase vermin, a backyard squirrel will quickly get their attention, but they'll rein it in and get back to their other job of being chief watchdog and protector of the family. 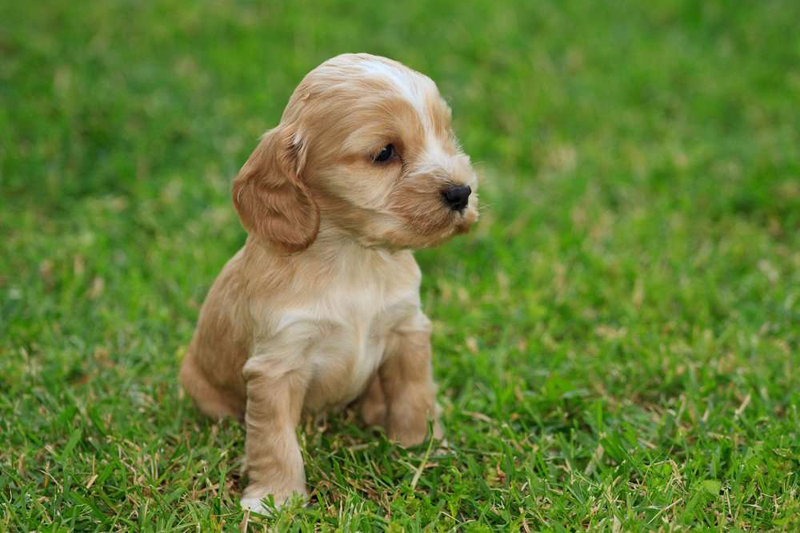 Commonly known as the 'comforter spaniel,' this sweet little breed with a heart of gold is an obvious choice for one of the cutest dog breeds. As fast as you fall in love, they do too. Their large expressive eyes really are the window to their sensitive and empathetic soul. But that doesn't mean they're all melancholy and sit on your lap all day long. 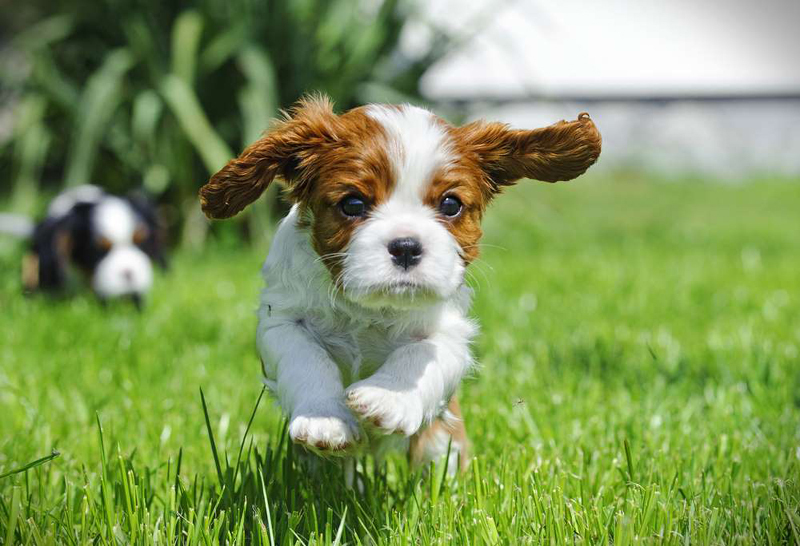 They are playful, energetic, and relatively easy to train. A lover of people and cat siblings, the CKC prefers to be with humans or furry siblings, so they live their best life in a two-pet home or one with a stay-at-home owner. 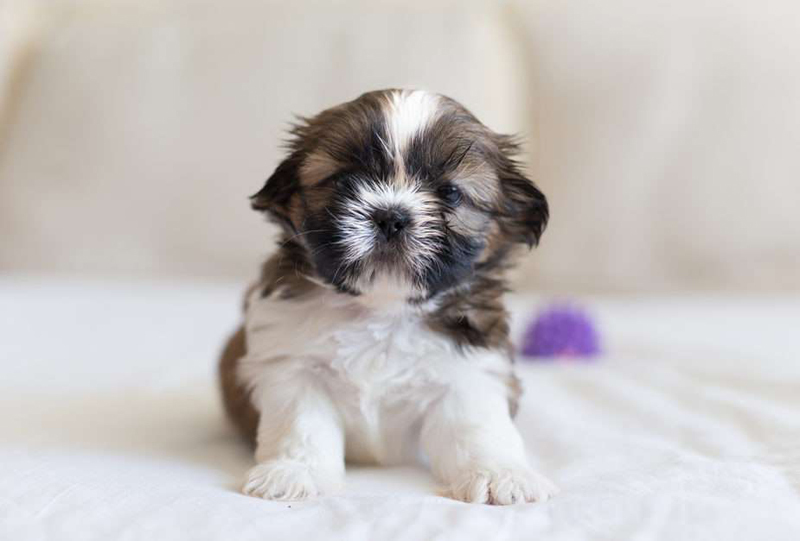 Shih Tzu's are beloved for their chrysanthemum-like appearance with hair that grows up from the nose and around their faces in a variety of color blends. Shih Tzu's are great roomies for homebodies. They're not big fans of nature and like to stay inside to play or clown around by stealing shoes. Once they've had enough, they're content for a short walk around the block and downtime on the couch. 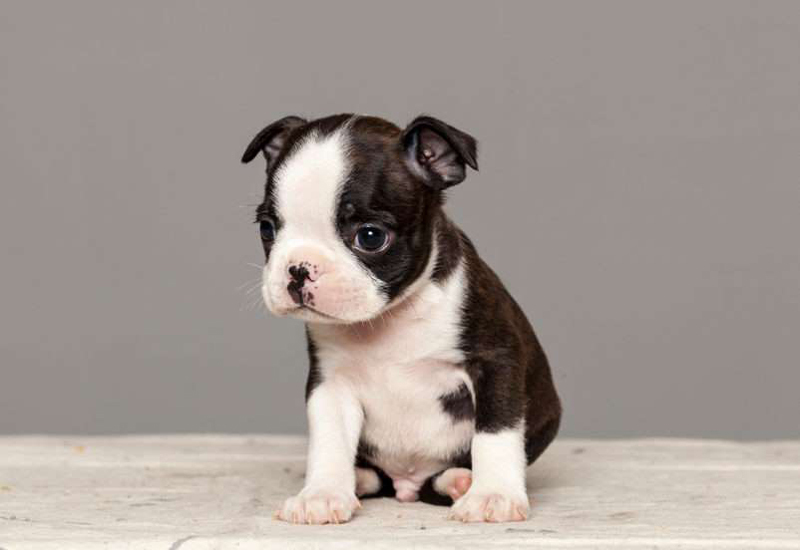 As you may have guessed, the Boston terrier hails from Beantown with roots tracing back to the 1870s. This dapper breed has a good sense of humor and doesn't mind being the life of the party. They're quick to pick up new tricks and love to please people and do well in competitive canine sports, like flyball, agility, and obedience. Be mindful of those 'look at me' eyes when you're playing or taking him for a walk because they protrude, they are prone to get hurt. If you never want to feel alone again, get a Havanese because they hate being alone too and will never leave your side. You don't even have to leave them when you run errands because they travel well. They were bred in Cuba to be companion animals—unless you go outside, then you're on your own. Except for doing their business, they aren't fans of the great outdoors. In fact, if it's cold or rainy, the only way you're going to get them outside to go potty is to pick them up. 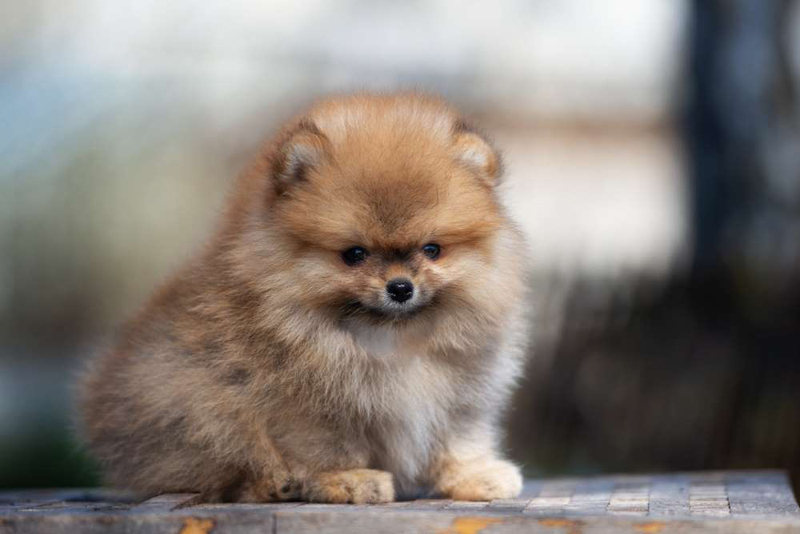 Maybe it's the luxurious puff of fur around their chest and neck that give them the courage of a lion, but these Poms are famous for thinking they can take on big dogs with their feisty bark. They're larger than life egos extend to humans and they'll relish being the center of attention. 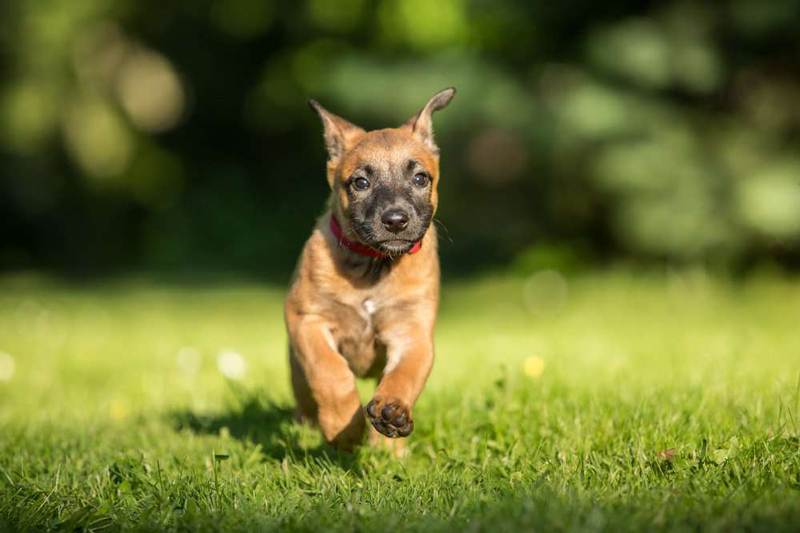 They are typically very playful and love to be the center of attention, which isn't hard to do when you're a smart, curious, and feisty breed. Shelties are the smarty pants of the canine world. 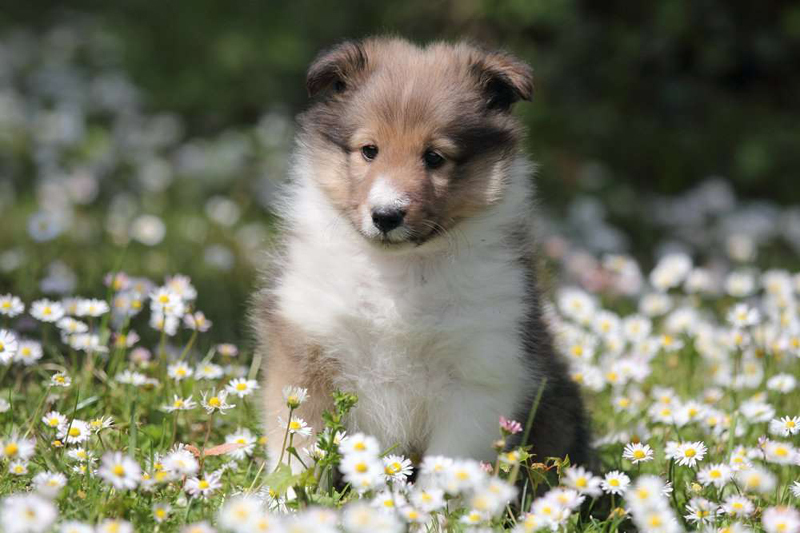 The AKC regards the Sheltie as one of the most trainable breeds, due to its devotion and high intelligence. This isn't the type of dog who will be happy lounging in the backyard. It needs to exercise its advanced skill sets of herding, obedience, and agility. But that doesn't mean this busybody likes a lot of noise and action from humans; in fact, they prefer calm and order and are not fans of tension, loud voices, or kids climbing all over them. Big and fluffy and weighing between 80 and 110 pounds (females are on the lighter end), the Bernie is steady-tempered and easygoing. It's content to lay around the house for a bit but going outside is fun, especially when it means it can utilize its thick coat. Bernie's aren't a fan of hot weather climates, after all, they're from the Swedish Alps where their favorite pastime is pulling carts and sleds and socializing with children. The Brittany breed has rare honor in that 500 Brittanys have an AKC Dual Champion award, meaning they achieved excellence in both field and show. 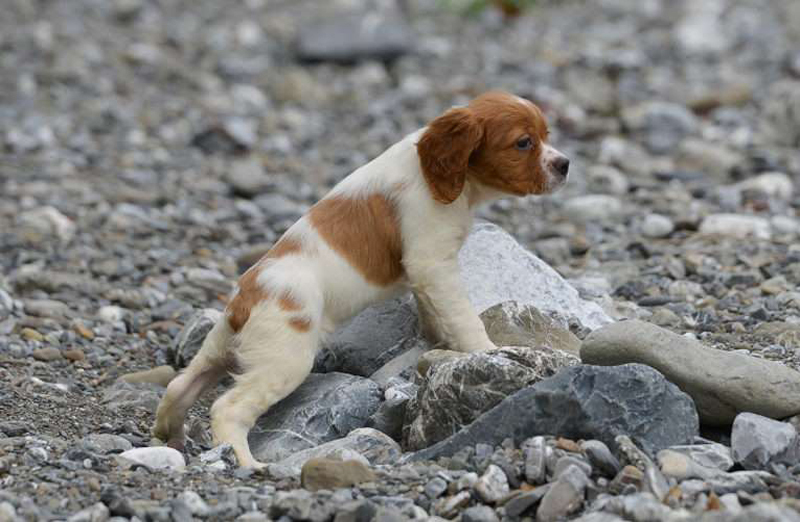 When it comes to hunting dogs, the Brittany is a first-class retriever from land and water. Pair that with their keen sense of smell and the ability to adapt to all kinds of terrain, and it's easy to see how why they are a favorite of hunters. Families that like to be active outdoors are well matched for this breed. Spaniel-type dogs are thought to have originated in Spain many centuries ago and were probably introduced throughout the world and to England by travelers via trading ships. The field type is bred for hunting and field trial work, while the show type is bred for conformation shows. The field type has a higher energy level and needs even more exercise. Water and mud are highly are highly appealing, so plan on having a regular bath time. 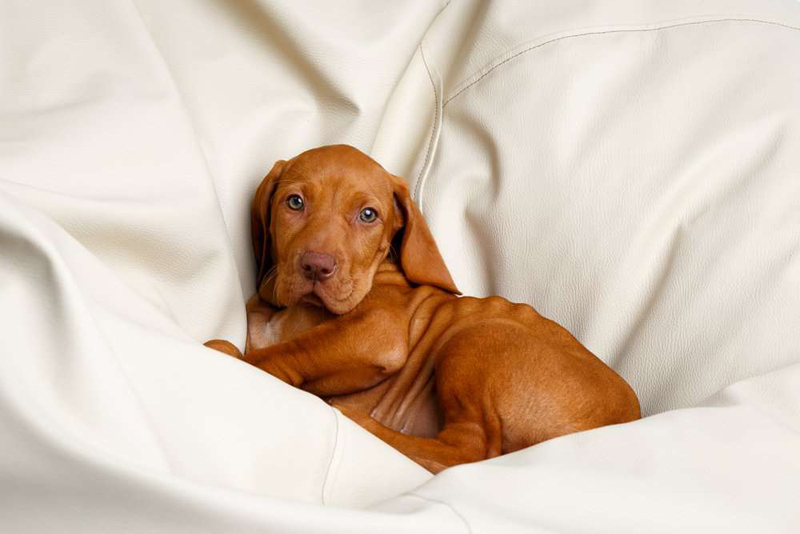 Pet parents will nod in unison when someone refers to their vizslas as 'velcro dog.' They need to be with people all the time, or they become depressed and anxious. And when that happens you'll know because they will howl, bark, or start chewing your shoes. Also known as the Hungarian Pointer, they live for field work, agility drills, and advanced obedience training. Even when they're relatively happy, they're a vocal breed and will bark, howl, grunt, whine, and moan throughout the day. Nothing cheers up a dull party more than the presence of a pug. 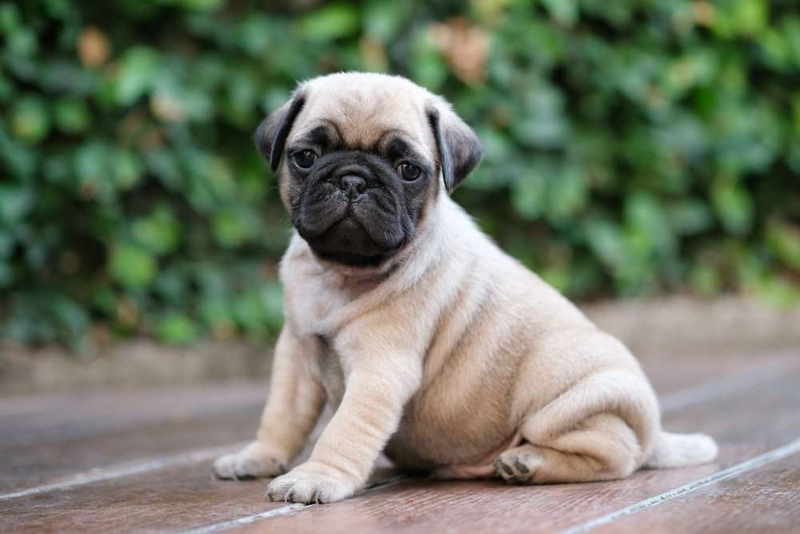 Sure, it is for the most part quiet, alert, and affectionate but the pug knows how to bring out the happy-go-lucky animated side when necessary. They will keep you entertained with their playful antics and boisterous personality. They can be stubborn and strongwilled but rarely aggressive. They're great with families with young children because they're sturdy and can make a quick exit if needed. 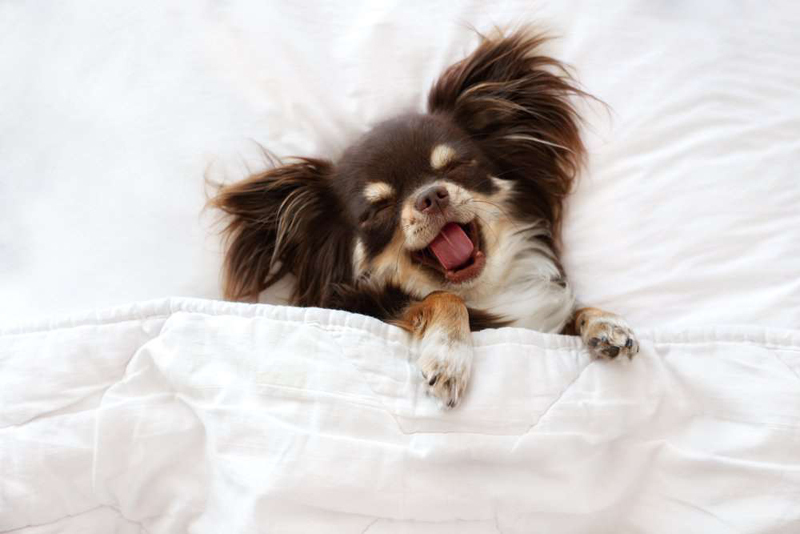 A tiny dog with a ginormous terrier-like personality, the Chihuahua is forever soliciting your attention. It craves physical attention and loves to be next to you, snuggled on the couch in a pile of soft blankets. If something disrupts their quiet time, you'll know it. In fact, anyone in earshot will realize it as these tiny pups are exceptional watchdogs and barkers. If the 'intruder' is a large dog, it won't back down so you'll have to keep on eye on them to ensure either dog doesn't get hurt. 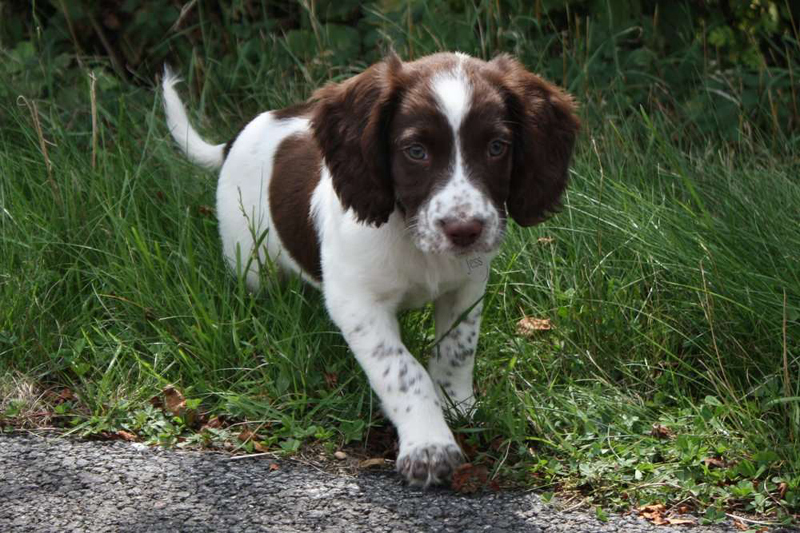 These small spaniels originated in Spain and the Cocker part of the name is from the woodcock, a bird they flush and retrieve. Hunting isn't a prerequisite to being a part of a human family though. This sociable and easy going pup makes a great addition to your family. They love kids and usually get along with other furry siblings. Be mindful of their long, floppy ears which make them prone to ear infections. 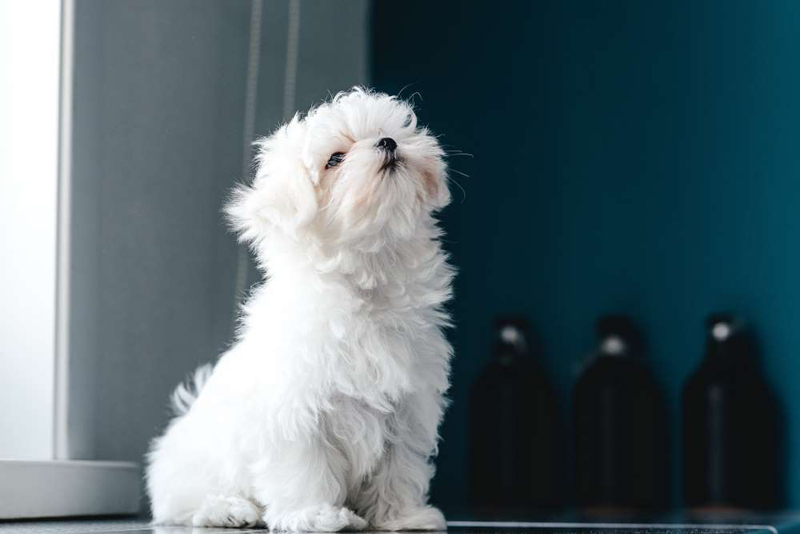 The Maltese can look like a supermodel with its long, silky, white hair adorned with a cute topknot on the top of their head. Or when not in show-mode, pet parents often opt for a 'puppy' cut that is shorter and takes less time to brush. They don't shed because they don't have an undercoat so they make a cuddly pal for allergy sufferers. 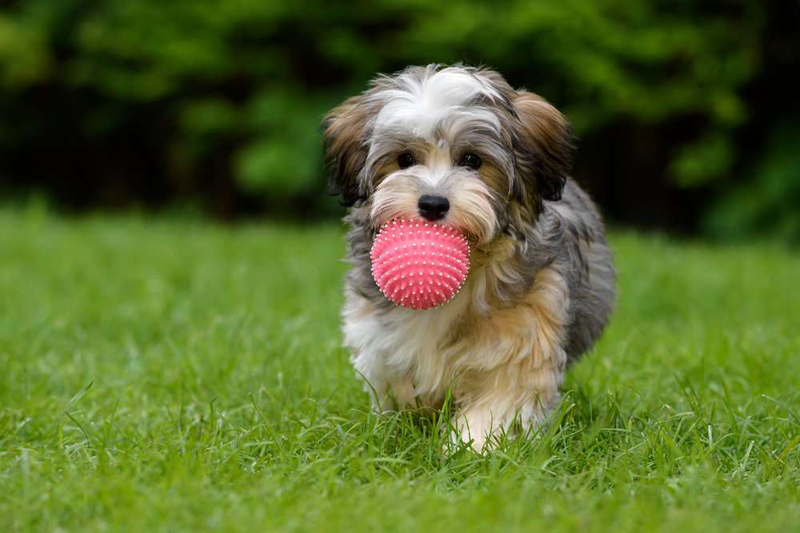 Maltese dogs have a magnetic, playful, energetic personality, and make wonderful companion dogs. They love their family and enjoy cuddling, and sleeping in your bed. 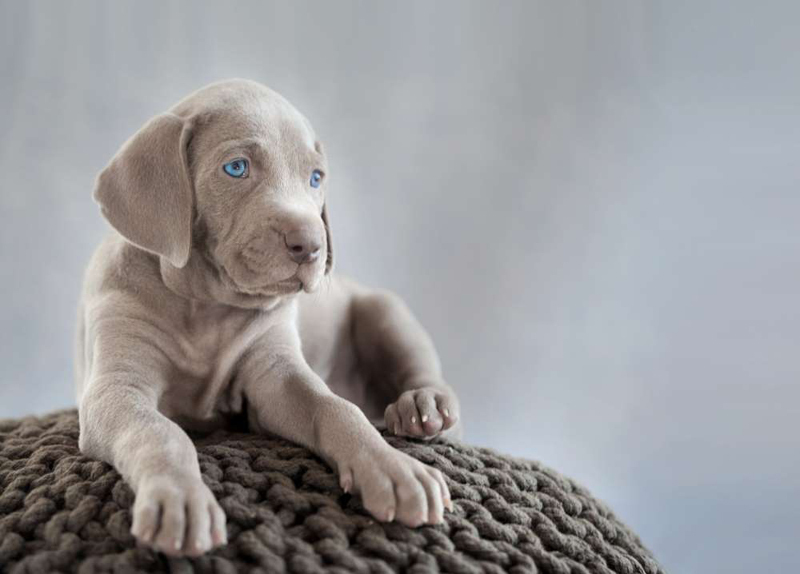 Weimaraners aren't for everyone. Although they're super smart, playful, happy, fearless, curious, and playful, they require a lot of attention to stay in your good graces. They are attached to their primary caregiver and wonderful with kids, but if left to their own devices, they'll unlock fences, escape crates, or steal cookies off the counter. What they do love is being your jogging partner or running alongside your bike—heck, they'll even take a dip in the lake with you, just in case you need a lifesaver. 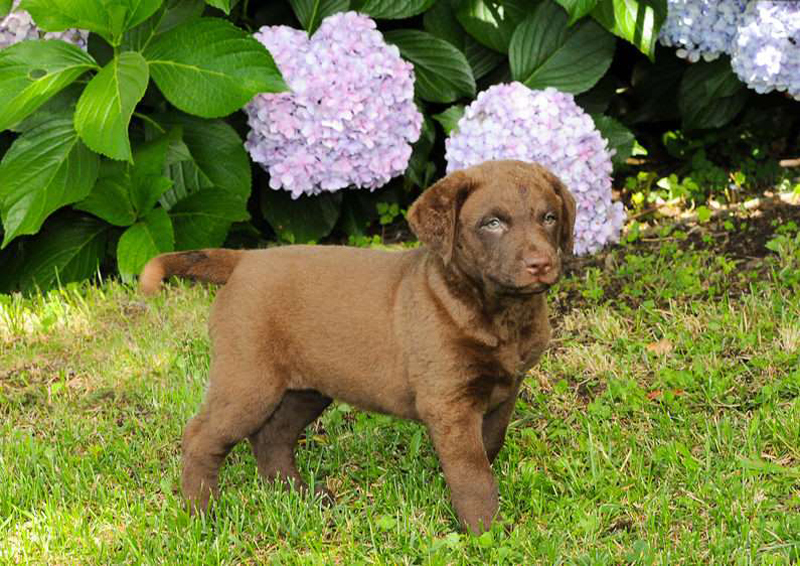 The Chessie was developed in Maryland to be a robust retrieving dog, but indoors, it's very loving and friendly and all about bonding with its human family. They are more protective and less friendly toward strangers than other sporting dogs, making them excellent watchdogs. Worthy of the title as the official dog of Maryland in 1964, they are passionate about the water, excellent swimmers and retrievers, and brave and obedient. And like the Newfoundlands who share their bloodline, they are lovely with children. 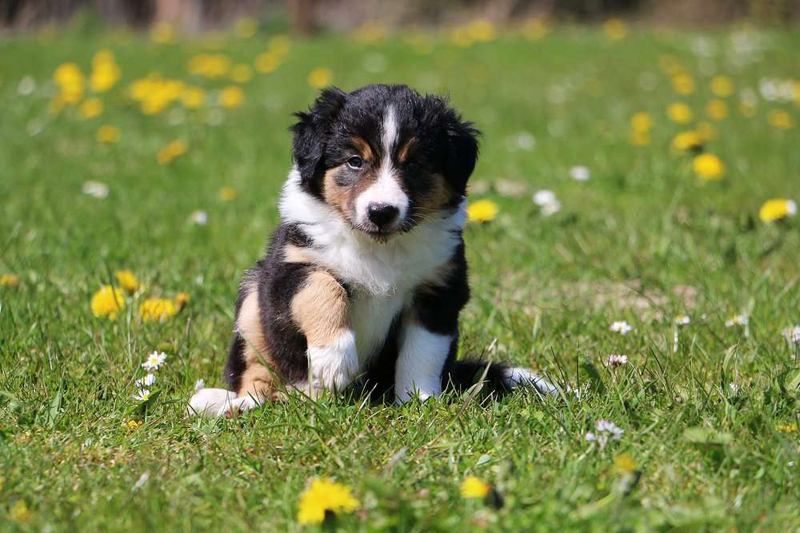 The mini American shepherd is a relatively new breed, having only being recognized in July 2015 by the AKC as a member of the herding group. Like all herders, it's highly intelligent, devoted, full of energy, and has a willingness to please. Its distinctive, watchful eyes accentuate its eye-catching markings. One or both eyes may be blue, hazel, brown, amber, or a combination of those colors. Though it's a herding breed, it's happy to call the city or country its home. 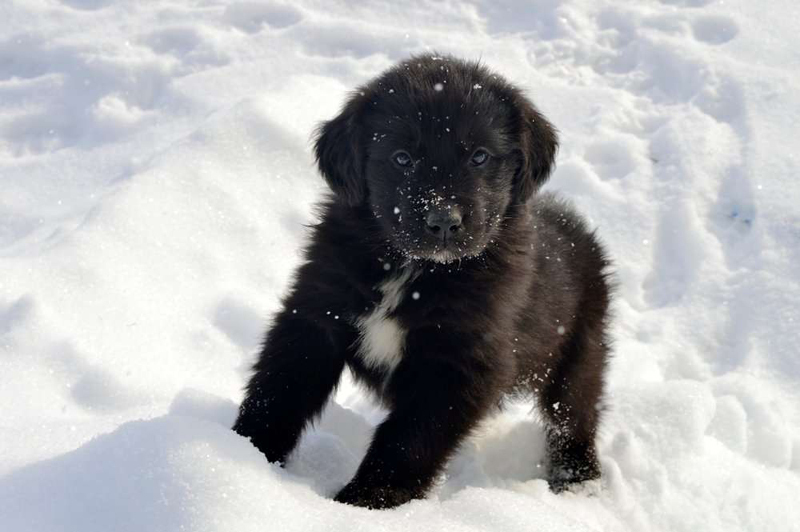 There are plenty of historical accounts of Newfoundlands saving people from shipwrecked boats and hauling supplies and ammunition in blizzard conditions during World War II. 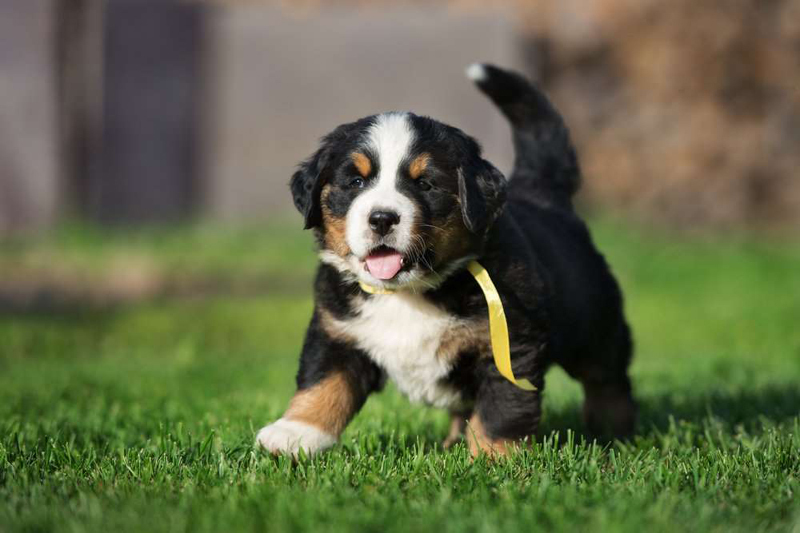 It's a large-and-in-charge breed with males around 130 to 150 pounds and 28 inches tall. It excels at water rescues because of its webbed feet and water repellent coats, making swimming second nature. On land, their muscular body effortlessly pulls a wagon of kids. Most pet parents agree the Newfie is akin to having a real nanny when it comes to guarding children. 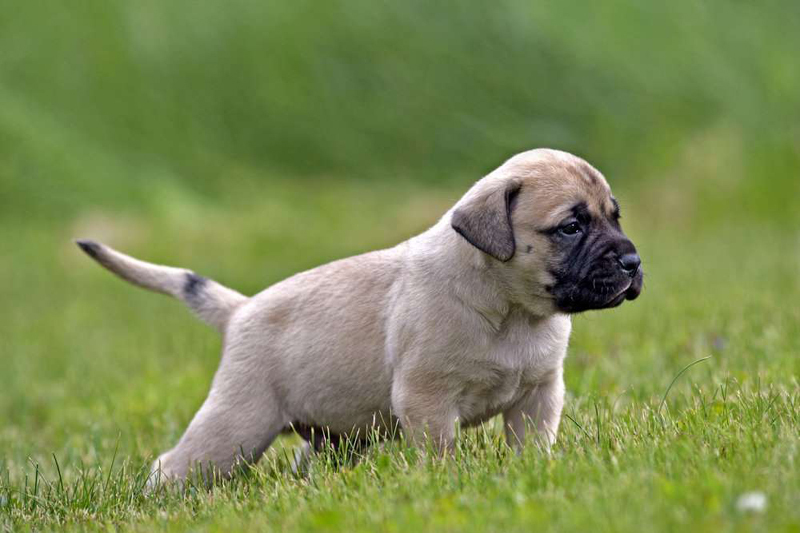 This Mastiff breed from Italy is headstrong, large, intelligent, and powerful, yet they have a tender, sweet side and become very attached to their family and the children in the home. They have an innate ability to play cautiously around children, recognizing the child's size and helplessness. 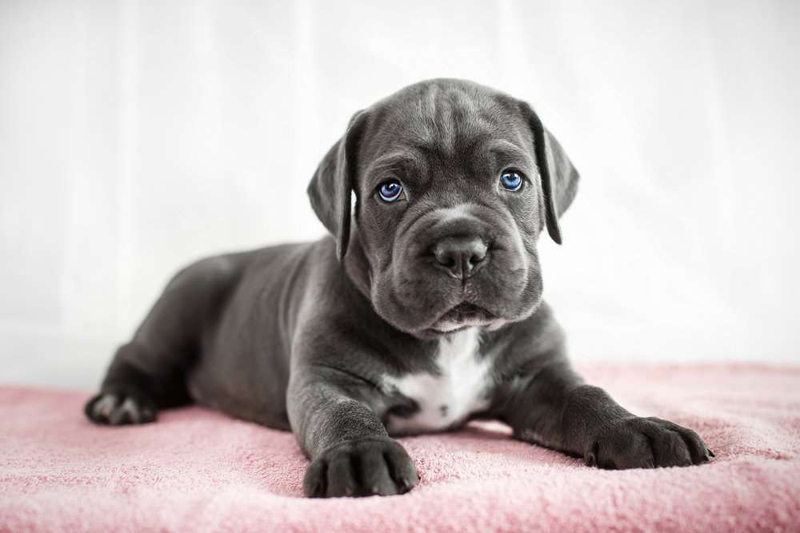 The Cane Corso is keenly aware of when to be protective and intuit if a stranger can be trusted, but since they are hard-wired to protect, they don't back down easily from a fight, so it's essential to socialize them as puppies. Don't even try playing 'betcha can't wink' with a Border Collie. You'll lose every time. Its hypnotic stare is all it takes to get a wayward sheep to move back to the flock. Border Collie's are all about duty, but they are also super affectionate with their human family but a bit standoffish with strangers. They are protective without barking (they have that stare after all) and good watchdogs, but because herding is in their blood, they might try to herd small children and nip at their feet or bottoms. 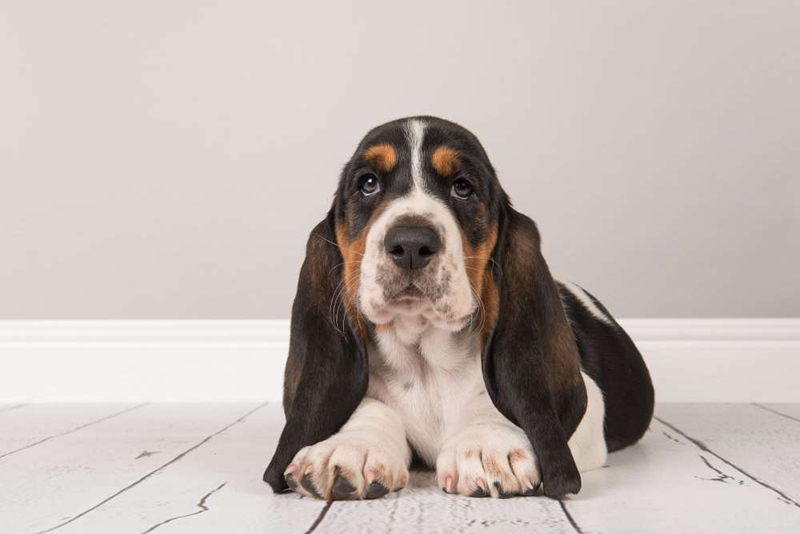 The Basset hound's long ears and mournful eyes pull at our heartstrings, and some marketing genius in 1958 came us with the Hush Puppy mascot to sell more shoes because back then tired feet were known as 'barking dogs.' The Basset's bark and howl are well known and can be heard for miles. But pups don't usually howl like that unless they're lonely. Unlike other hounds, you won't have to worry about it running off, and if it does, you can probably catch it because those short legs don't move fast. It's a wonderful family dog, but one story houses are best because they don't manage climbing stairs that well. If someone falls in the well, call a Collie; Lassie, the star of a popular TV show in the '50s, was known for getting people out of a jam. Before its big screen stardom, Queen Victoria fell in love with the collie while visiting Scotland in the late 1800s and brought a few dogs back with her to England, making them very popular. The Collie has two unmistakable looks—the long, flowing hair is the Rough Collie (like Lassie), and the Smooth Collie has a short coat. 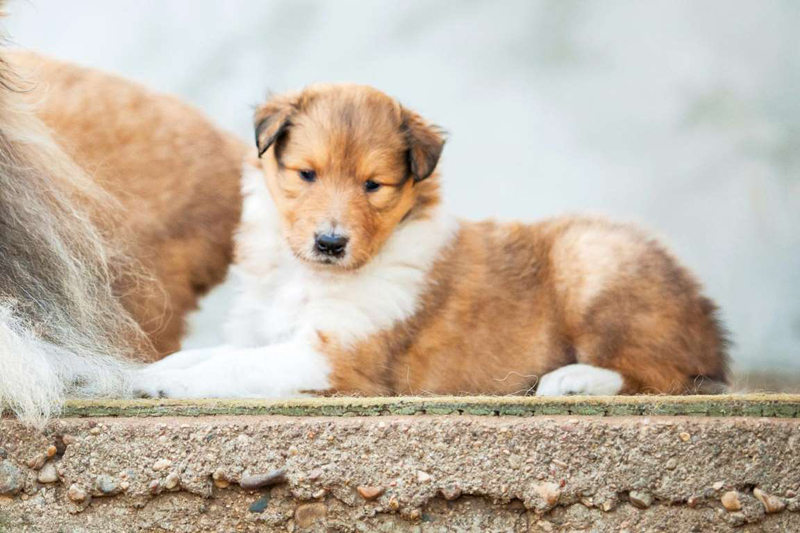 Interestingly, the Rough Collie is much more popular in the United States than the Smooth Collie, however, the Smooth Collie is more popular in Great Britain. They're both sweet, loyal, and fearless and judged the same in the show ring. Ridgebacks are also known as the African lion hound. 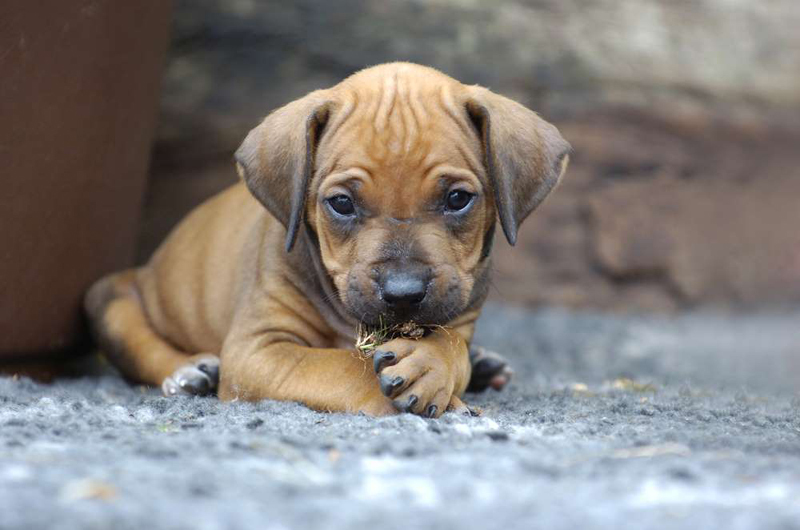 Not every purebred Ridgeback has it, but this breed is the only dog who has a ridge of hair running down the spine in the opposite direction from its coat. It's super fast and weighs around 100 pounds. Their stomach never registers a 'full signal' so they will eat non-stop if you let them. They play fast and hard and will vault fences and run into the street without regard to cars. Give them plenty to do so the action outside the fence isn't so tempting. The West Highland white terrier's delightful face has graced the cans of Cesar pet food for years. If the pet food company had auditions, they must have closed the doors after the WHWTs darling smile wooed them over. It looks super cuddly, but it's not going to lay around on your lap for very long. 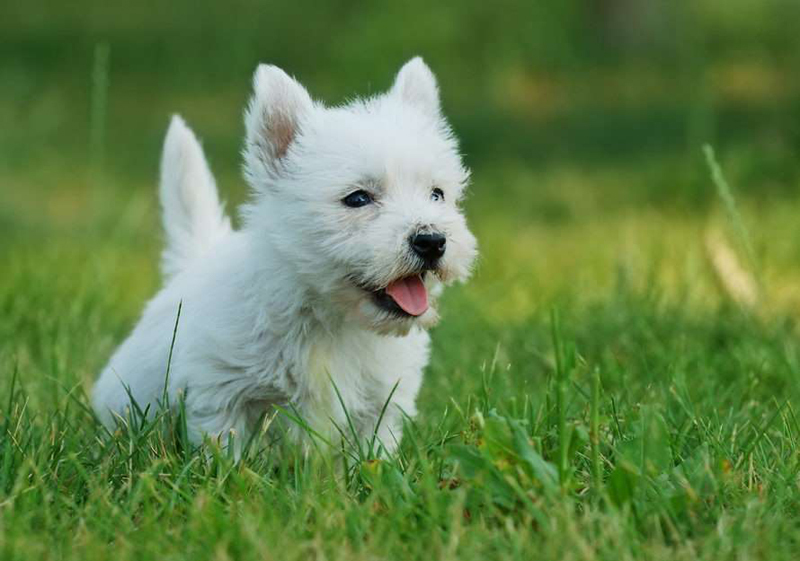 One of the cutest dog breeds, the Westie, also has a high energy level and loves to run, chase, and pounce on small furry creatures. It is a terrier after all and not about to let something get away. These dogs just love to run and run away, always looking for a place to let their bold and spirited personalities shine. They're a bit stubborn and not the easiest to train but they sure are playful and funny. 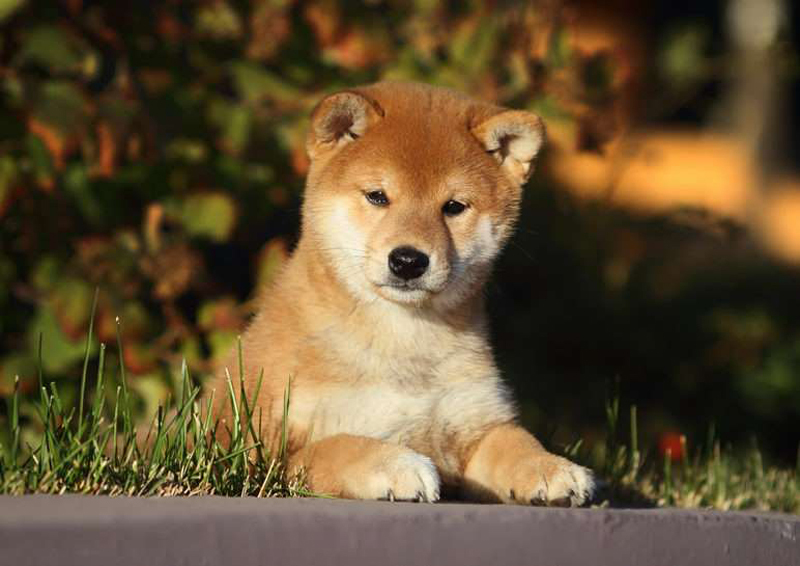 Shibas are hands-down one of the cutest dog breeds you will ever encounter. What's not to love about their soft and furry fox-like face, squinty eyes, and that groovy tail that curls over their back? The Bichon is a perennial favorite at dog shows. They command attention and steal the show with their fancy-prancy gait and velvety fluff that you want to sink your face into. They ham it up at home or in a crowd and always keep an eye out for anything going on outside your house. You have to balance all that cuteness with a couple of minor flaws. Its alertness can be a be overwhelming if it learns to bark when something moves. 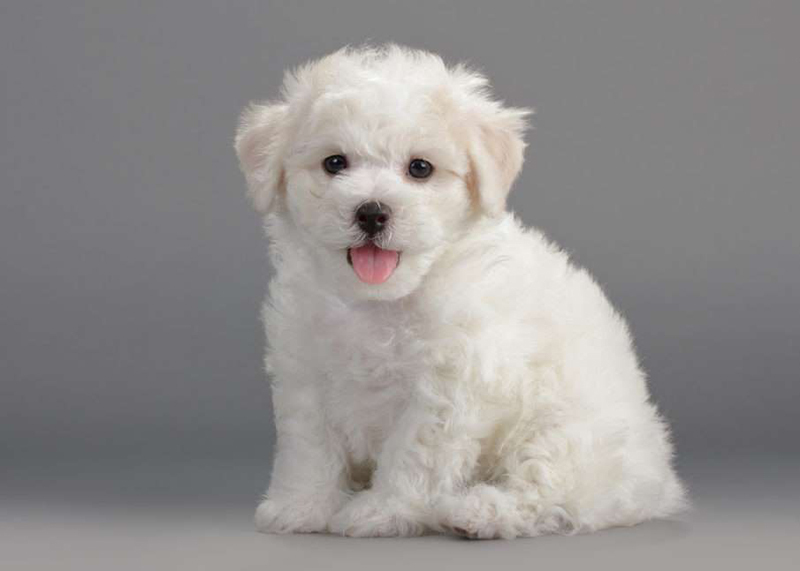 Potty training doesn't come easy with the Bichon, so consistency and crate training is paramount to success. The Akita originated from the mountainous and cold Akita prefecture, the northernmost area on the island Honshu, Japan. It's considered sacred and a good luck charm in Japan; Akita statutes are given to new parents as a gesture of good health and to sick people as a token for a quick recovery. They're a stocky and powerful dog, tipping the scales between 90 to 110 pounds and about 24 to 28 inches tall. 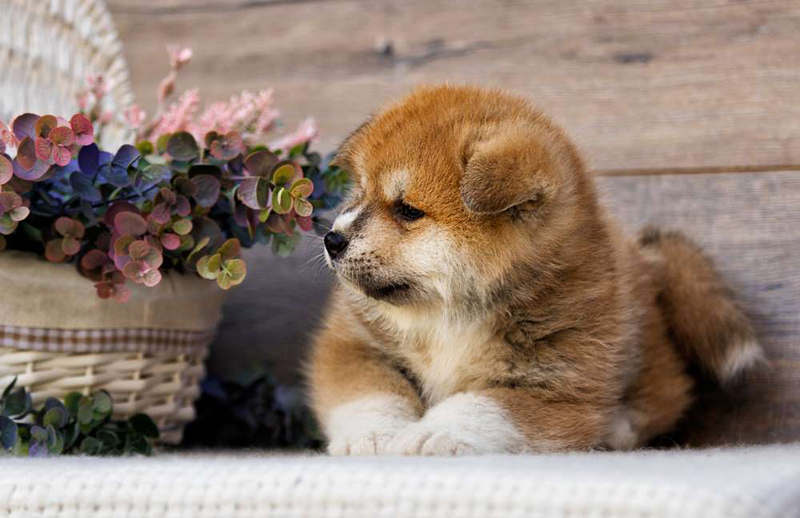 Some Akita's do well in families, but some are aggressive and need supervision with children, especially when they are eating as they are 'food aggressive.' The Akita is one of the most expensive dog breeds in the world. Hailing from the Belgian town of Malines, this is an extremely confident and top notch watch and guard dog. But why stop there? It also excels at search and rescue, agility, and anything new you want to teach it. It thrives on a job well done, and because of its herding heritage, it moves in big circles, all of which make it an accomplished police dog. A 25-pound Saint Bernard puppy is so adorable and cuddly, you'll never want to put it down. But you will eventually because it will grow into a 120 to a 180-pound dog! 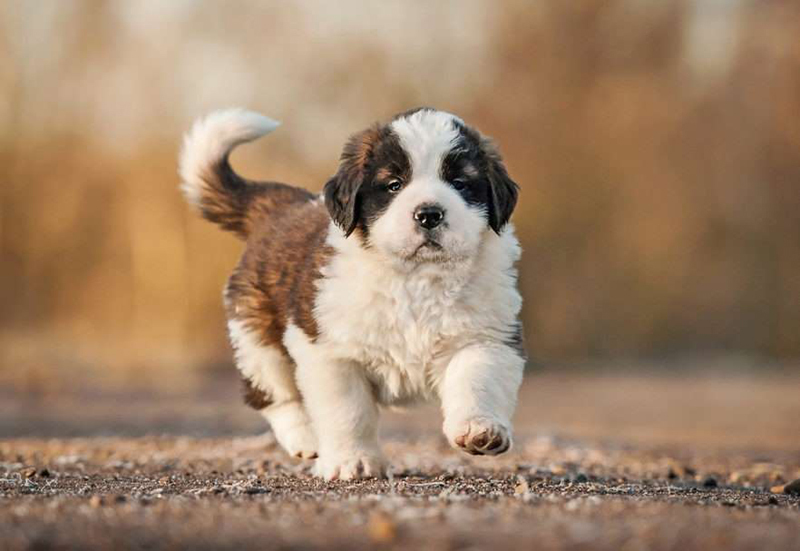 His colossal size and sweet disposition attract people today, but the love for the St. Bernard started in the early 1800s when artist Edwin Landseer painted a St. Bernard with a brandy keg around its neck with the Alpine Mountains in the background. People immediately became fans of the rescue efforts and tracking ability the St. Bernard used to save lives. 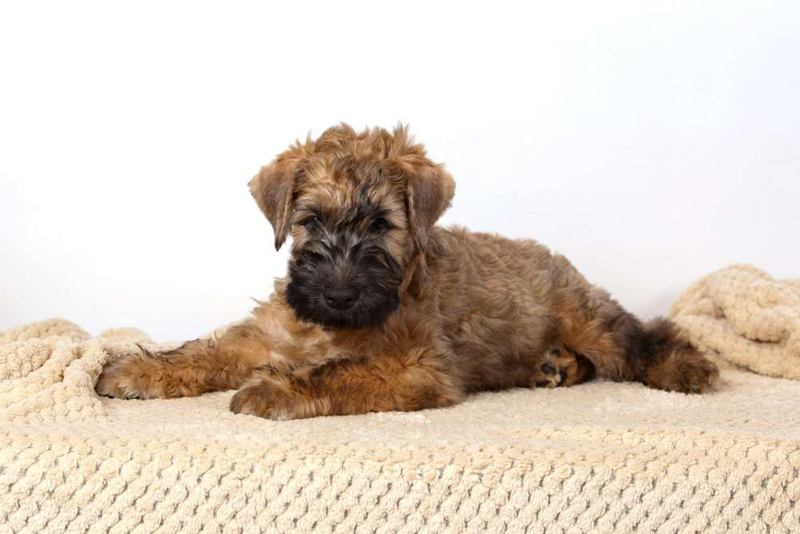 The Wheaten is a less feisty terrier than some of his terrier cousins, but not necessarily suitable for a family with younger children. A puppy who is raised by the same humans and alongside pet siblings will bond for life. It's a spirited and self-confident breed, but friendly too. They're definitely on the list of 'their bark is worse than their bite,' so keep that in mind when training or warning guests before they arrive. Those wrinkles, long ears, and loose skin aren't just cute to look at; they help the pups pick up scents from the ground up to their nose where it stays. 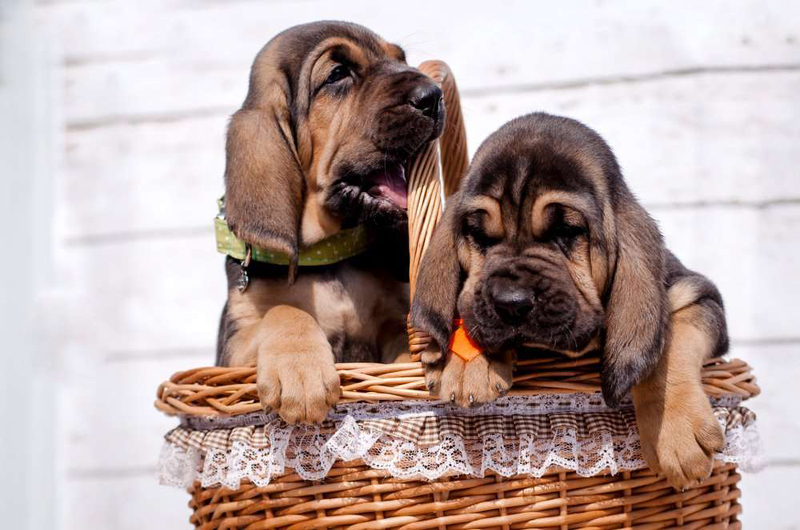 Their sniffing abilities are top notch and evidence found by bloodhounds have been used as testimony in a court of law. And when they're not sniffing out crime, they're lazy porch-dwellers who are pleased as punch to lay at their pet parents feet. Just make sure you don't leave them on the porch as they are notorious for baying, especially when left alone.